In the United States, an estimated 500,000 trucking accidents occur every year, of which roughly 130,000 results in injuries. When you consider the sheer size of these vehicles, it comes as no surprise that the drivers of smaller passenger vehicles frequently suffer severe injuries, some of which prove to be fatal. Victims are often left to deal with costly medical bills, emotional trauma, property damage, and other expenses. If the truck driver acted negligently or the trucking company that maintains the vehicle and hired the driver is in any way responsible, then they may be liable for damages caused to you and your loved ones. Trucking accidents are a serious matter, and you deserve to seek the maximum possible compensation for your injuries and damages suffered. Our Truck Accident Lawyers in McAllen will take your individual situation into consideration to determine your specific needs and obtain the financial compensation that you deserve. Truck accidents are often the result of negligence, either by the driver, the trucking company, or the truck manufacturer. Often, liability falls on the trucking company, but it’s not always that simple. Determining who may ultimately be responsible for your accident is essential and requires experience, skill, and access to experts to analyze all the evidence. It’s not just about establishing liability; you will also need to be able to prove that negligence played a role in the incident. This could include truck driver fatigue, poor truck maintenance, overloaded or unsecured freight, trucker inexperience, trucker error, defective components, or failing to maintain and inspect the vehicle. We are not afraid to do the work required to undertake a detailed investigation and identify all the parties potentially liable in your case. 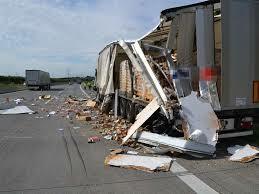 The expertise of our McAllen Truck Accident Lawyers can make a big difference in the outcome of your claim. We pride ourselves on our meticulous work, undertaking detailed research and examination into the incident to compile the evidence required. 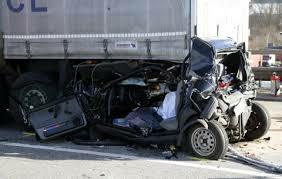 If you have been injured in a trucking accident, then you need to phone a skilled lawyer without delay. Trucking companies know that claims are often filed against them following a crash, and they will do everything they can to limit their own liability, often at the expense of the victim. By contacting our Truck Accident Lawyers at the Carabin Shaw Law Firm as soon as you can, we can move quickly to preserve evidence and begin a detailed investigation into the accident. The trucking company and its insurer will be keen to speak to the victim to offer a quick settlement. They are unlikely to make a fair offer, even if it sounds impressive, so don’t accept or sign anything until you have spoken to a law firm who can give you a better idea of what a fair offer would be based on the specific facts of your case. We understand that this is a difficult time for the injured victim and their family, but a prompt investigation is crucial to building a strong case. Don’t delay; contact an attorney as soon as possible to ensure your rights are protected. Unfortunately, when an 18-wheeler is involved in an accident, serious injury or death is likely to occur. Fatal crashes happen every day in Texas and throughout the United States, often as the result of someone else’s negligence. Grieving family members dealing with emotional distress following such a tragic incident are often unsure of how to handle the financial loss. A wrongful death claim may be the way forward to help you recover burial and funeral expenses, loss of maintenance, financial contributions, companionship, inheritance, and more. While no amount of money will bring back your loved one, it can help provide you and your family with the financial stability you need. 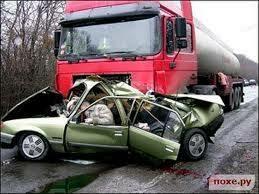 If you or a loved one was injured or killed in a truck collision, contact us to schedule a free consultation. At the Carabin Shaw Law Firm, we are committed to serving the needs of our clients by providing the highest level of experience and personal attention. A truck accident can leave victims and their families with piles of medical expenses, vehicle repair costs, lost wages, and further losses. Contacting a personal injury attorney can help minimize the stress of dealing with these financial losses, allowing you to focus on your recovery.